Silverain is a leading Perth based provider of IT infrastructure, in particular Local Private Clouds. We provide virtual servers and storage, matched exactly to our client's requirements delivered on enterprise grade hardware, with very high levels of redundancy. Silverain's platform is built on VMware virtualisation, the market leaders in private cloud hosting solutions. We have extensive experience in deploying private cloud based solutions, and are able to provide support and guidance at every stage of the lifecycle, from design, planning and build through to deployment and on-going support. 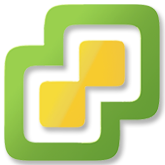 With direct access to the vSphere console, your servers are at your control.